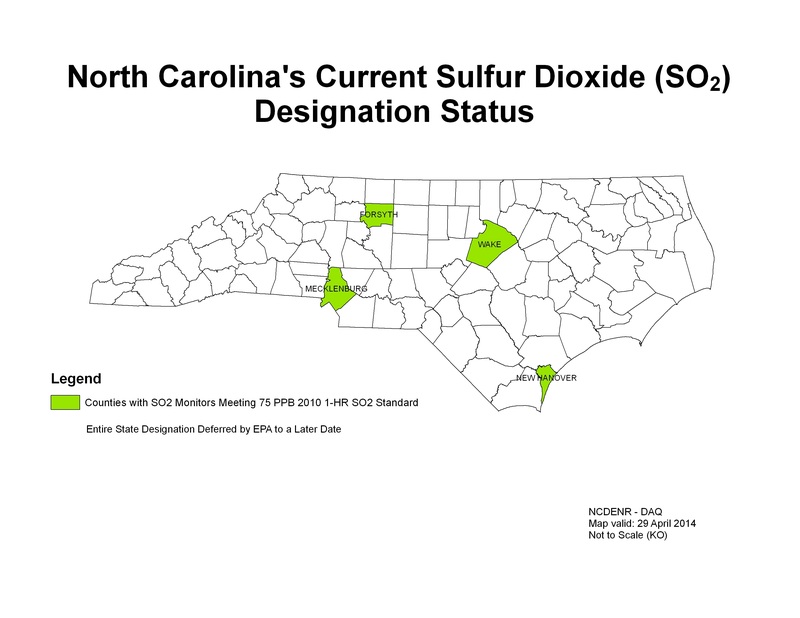 Click the image thumbnails below to see or download full size maps (PDF) showing North Carolina's designation status for each NAAQS pollutant. 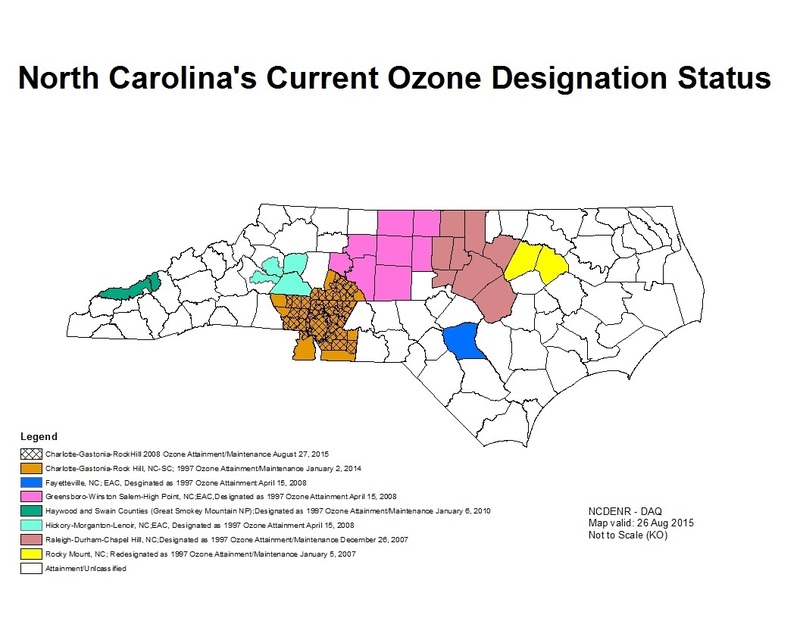 In this section you will find more detailed information about attainment status by pollutant (Ozone, Fine Particulate Matter, Sulfur Dioxide and Carbon Monoxide) and information concerning our State's current attainment status for the National Ambient Air Quality Standards (NAAQS) with respect to these pollutants. 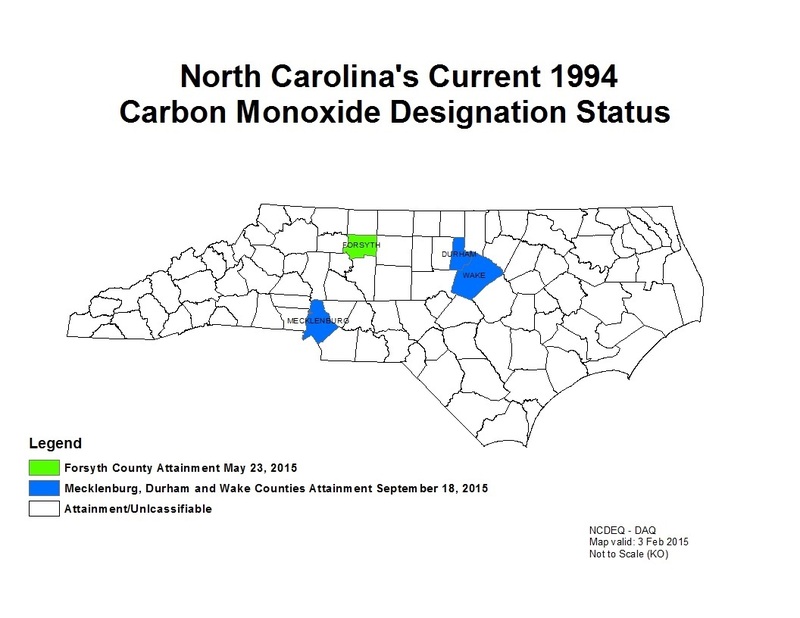 Archived information regarding North Carolina Early Action Compact (EAC) efforts.